Last year, one of my office mates missed office for almost a week without any prior information. When he was back, I asked him why suddenly he took such long leaves. He told me that his 5 months old baby was badly suffering from cold and congestion. And as the doctor did not give much of the medicines (he was still so small), his recovery was very slow. I shared with my office friend a home-remedy that has been followed in my family since long. This is the best cold remedy for infants and worked well for every child of my family till now. Although I cleared that this was just a remedy proven by old ladies of my family. Rub a nutmeg on a coarse stone slab and do it until nutmeg extract comes on the stone. Then similarly rub a soaked almond and get its extract as well. Collect both nutmeg and almond extracts in a spoon and give a small quality of it to the infant suffering cold and congestion. A similar practice of giving nutmeg with milk to infants is also common in South India. 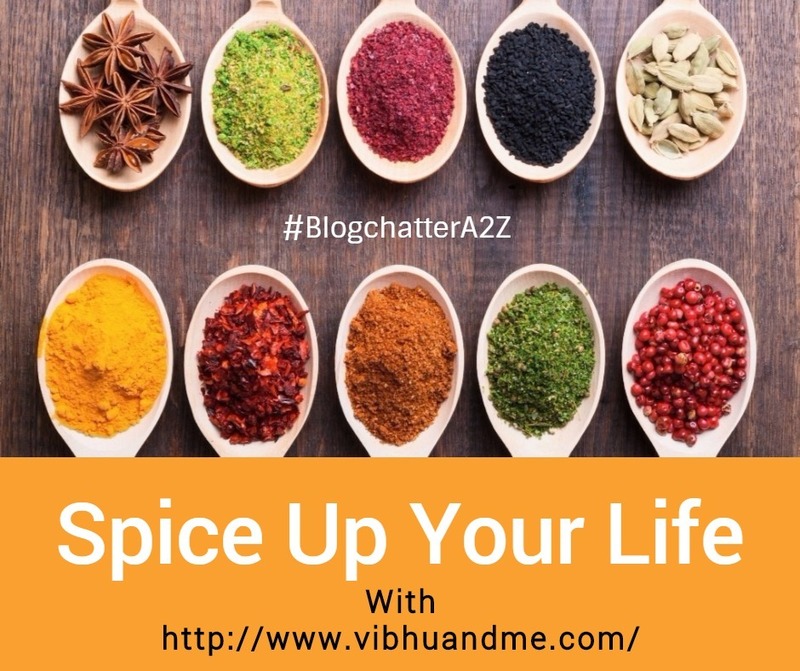 Although today doctors strickly say NO to honey or any other spice remedy for infants, Indian families have been following herb and spice base remedies since ages for health problems of even small babies. Like many other spices, Nutmeg is one of those fragrant additions to food that brings a little kick of warmth and curious complexity when added to any dish. Of course, it is an important spice of treasured Indian Garam Masala. Nutmeg is native to Indonesia but it is now a globally used spice. Nutmeg is one of two spices that grow on a single tree, with the scientific name Myristica fragrans. The word "Myristica" in Greek means "of pleasant smell" and the specific epithet "fragrans" in Latin, means "fragrant". The tree bears nutmeg, which is the seed of the tree fruit, just like we see inside peach and plums. The same tree also gives Mace, a less common spice derived from the dried reddish shell of the seed. This is the only tree which is the source of two distinct spices in the world. The nutmeg (the seed) is soft when first removed, but becomes rock hard when dried in the sun. Mace is also dried in the sun, and the two are packaged and sold separately. I was really surprised when I read that Nutmeg tree yield fruit eight years after sowing. The tree reaches its prime in 25 years and bears fruit for 60 years or longer. Nutmeg is grown very widely in Southern India in the state of Kerala. In my teen years, I used nutmeg rather for a different purpose. I used to apply nutmeg on my pimples. As said by Maasi, Jaifal (Nutmeg in Hindi) is very good for skin. It not only cures acne but also removes acne marks. Nutmeg is an integral of part of Mughlai cuisine as it adds a sharpness to the preparation. Nutmeg oil is also used as a natural food flavoring in baked goods, syrups, beverages, and sweets. 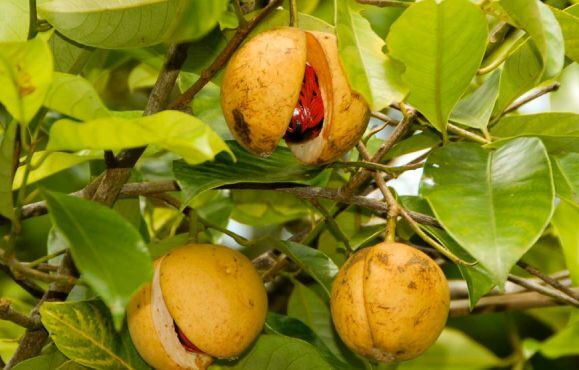 The history of nutmeg is remarkable as many wars happened because of this very spice. And it is often called Bloody Spice so. Compared with the charm of having an iPhone today, it was the iPhone of the middle age, popular among rich. Like many other unique and precious spices, Arab traders used to sell this spice also. Only a small group of Arab traders knew the source of spice and they sold it for very large sums. Its price put it completely out of the reach, except for royal people. One German reference from the14th-century evaluated nutmeg to be the same as "seven fat oxen." Nutmeg was next to Cinnamon for its aroma. And that why Egyptians used it inside the Mummies. It was also believed that Nutmeg induces hallucinations. So, royal families in Europe preferred nutmeg as a neck garland. Finally Portuguese found it in the 1500s in Indonesian Banda Islands. However, during the 1700s the Dutch monopolized the nutmeg trade, displacing the natives and working the plantations with bound slaves and convicts. Because the British also wanted to do the lucrative trade of nutmeg, there were many struggles happened between the British and the Dutch over control of the Island. British took nutmeg seedlings and planted them in areas under British colonial control. As nutmeg plantations began to flourish, the price of this spice began to drop. And then it eventually reached into the hands of common people as well. Nutmeg is another popular spice that comes with a long list of health benefits including its ability to relieve pain, soothe indigestion, and improve cognitive function. It is a significant herb as per Ayurveda. 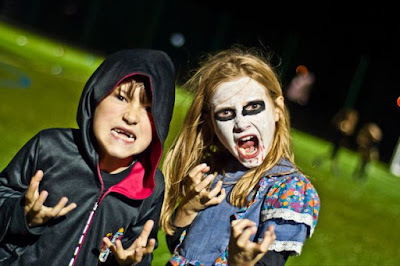 In early-modern Europe (as early as the 7th century), it was used as a nervous ailment cure. 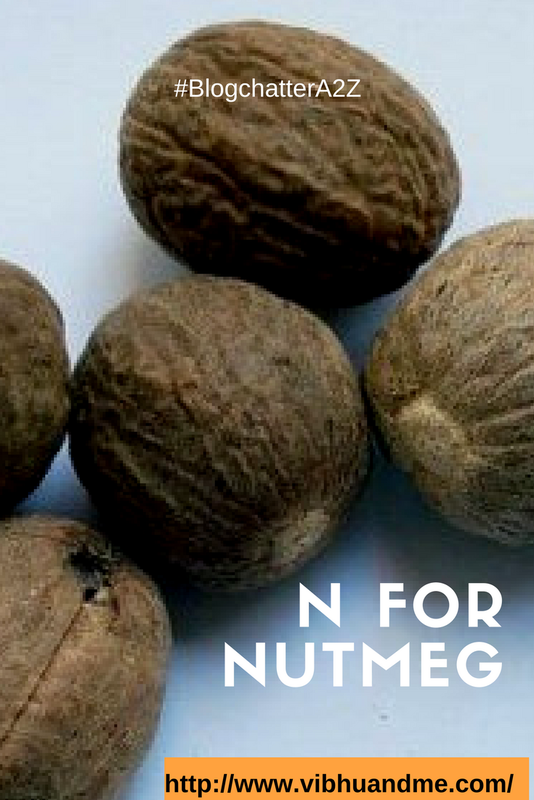 During the 19th century, nutmeg was considered as an abortifacient (miscarriage-inducing), meant it was taken in large amounts by women seeking to rid themselves of an unwanted pregnancy. It was also believed that nutmeg stimulates sexual desires. One I have already shared that Nutmeg erases acne. For better sleep, drink a cup of warm milk mixed with a pinch of nutmeg powder daily before going to bed. The spice stores easily have both Nutmeg and Nutmeg powder. You can use powder in sweet dishes as well for adding a hint of a sweet smell. Nutmeg oil is also available and it smells divine. 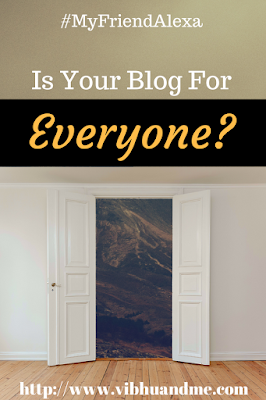 Came back to your blog after a few days and was delighted by this post on Nutmeg. 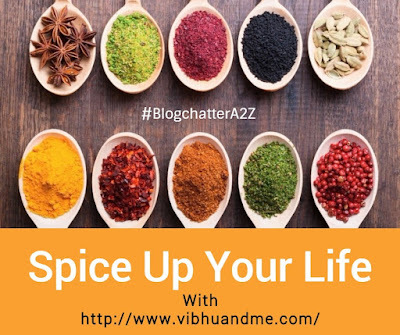 I liked the way you have detailed on the etymology of the spice as well as described its history. Your examples of how it is practically used in our homes gives a completely desi 'nuska' flavour to your post. Well done and keep writing such good stuff ! I love to read the history! I only know nutmeg as one of the ingredients in pumpkin pie. Thanks for the information.